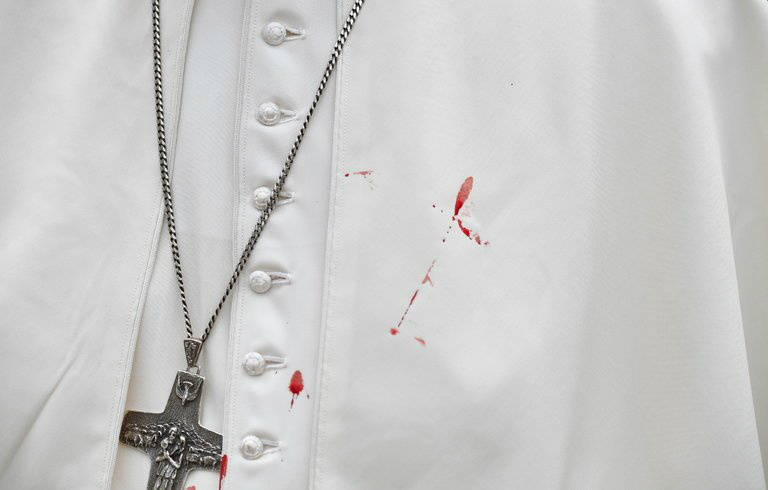 In the Catholic Church of Pope Francis, it is dangerous to be too conservative. Professor Josef Seifert, a distinguished Catholic philosopher from Austria, discovered this recently, when he was dismissed from his position at the University of Granada in Spain by the local archbishop. Seifert’s sin was to have raised questions about “Amoris Laetitia,” the controversial papal exhortation on marriage, whose ambiguous statements on divorce and remarriage the philosopher described as a potential “theological atom bomb” for Catholic moral teaching. Such stark criticism of a sitting pope “damages the communion of the church,” Granada’s archbishop wrote, while retiring the professor from his academic post. Meanwhile, in the Catholic Church of Pope Francis it is also dangerous to be too liberal. Father James Martin, a famous American Jesuit author, discovered this last weekend, when he was disinvited from a talk at the Theological College of the Catholic University of America, and had another talk in London rescheduled, after an internet campaign by traditionalist priests and laypeople. Father Martin is the author of a new book, “Building a Bridge,” urging dialogue and reconciliation between the Catholic Church and gay people, and his critics charge him with effectively denying church teaching on sexuality (a charge that he denies). The institutions did not endorse the charge; they simply decided to duck the controversy. Professor Faggioli’s sudden concern about online campaigns was interesting to me, because it was just a short while ago that the professor was himself busy organizing an online campaign against myself — which urged my employer to censor my writings on Pope Francis and Catholicism, because of my lack of theological credentials and my putatively incorrect opinions on the doctrine of the faith. But of course Professor Faggioli felt justified in organizing his particular militia, because he apparently felt that I had previously tried to get him fired during a waspish exchange on Twitter (it’s inquisitions all the way down, I’m afraid), when I suggested that his views on the potential evolution of Catholicism might be usefully acknowledged as a heresy. Threatening the professor’s employment was never my intention, and since his current academic job seems impressive and my own job has been happily secure, we both seem to have come through the auto-da-fe unscathed. And in the interest of securing some rare common ground, I think his analysis of what is happening to Catholic life under Francis — the rise of informal inquisitions, the paralysis of Catholic institutions, the failure of normal ecclesiastical structures — contains some important truth. Where he’s wrong is in suggesting that this is just a right-wing Catholic phenomenon, and that it’s just an unfortunate, internet-abetted by-product of Pope Francis’s attempted liberalization and decentralization. Both Professor Seifert and Father Martin are more personalized cases in point. In one sense, by critiquing Pope Francis’s tacit shift on communion for remarried divorcees, the Austrian professor was simply defending the official teaching of past popes and church councils — none of which has been overturned. So one can say (with his conservative defenders) that Seifert was effectively dismissed from a Catholic university for too much Catholic orthodoxy. But at the same time (as those same conservatives might have argued under Benedict XVI and John Paul II), the pope is supposed to have the last word on what orthodoxy entails, and directly criticizing a sitting pontiff is the sort of thing that ought to put a high-profile Catholic post at risk. Perhaps Seifert should have expected the inquisition. Likewise with the popular and prolific Father Martin, whose book on homosexuality and the church has been praised by some cardinals and critiqued by others, in each case for understandable reasons — since it offers an often-wise critique of Catholic unkindness and indifference toward gay people, joined to a certain ambiguity about the church’s teaching on chastity and marriage. Meanwhile on other questions, less hot-button but also crucial to Catholicism — the nature of communion, the relationship between Jesus’ divine and human natures, the possibility that God might actually want a believer to commit a serious sin if it relieves suffering — Martin has lately asserted a number of views that seem at odds with traditional teaching. As a result, even before the disinvitations there were frequent guerrilla battles over Martin’s work on Twitter, in which priests from the rival Dominican order sought to correct the Jesuit’s forays. And as with Seifert you can understand both sides. Martin’s critics are correct that he seems to be staking out positions that Rome deemed heterodox not that long ago. At the same time Martin has a point that in a hierarchical church it is his superiors, not online critics or other orders, who decide whether he’s a priest in good standing — and that his ultimate superior, the pope, is seemingly open to experiments, with the limits studiously unclear. Instead the only serious course is to invite serious argument and encourage respectful debate. Have the Dominicans and Jesuits bring their online debates into university auditoriums and parish halls; let Catholic students and laypeople understand the stakes. Invite Father Martin to speak on controversial topics; then invite his critics to answer him. Let the bishops who clashed behind closed doors at the synods on the family address one another in public and in person. I myself am only a train ride away from Professor Faggioli’s Villanova and would happily allow him to educate me on my theological deficiencies on a platform of his choosing. It is hard to know what will come of this era’s Catholic crisis. Can the church really become Anglican, with sharply different Christian theologies coexisting permanently under a latitudinarian umbrella? Is the period of dueling inquisitions and digital militias a prelude to the sweeping liberal victory that many Catholics felt that John Paul and Benedict cruelly forestalled? Will the pendulum swing back, as Francis’s nervous allies fear, leaving his legacy to be buried by young traditionalists and a reactionary pontiff in the style of HBO’s “Young Pope”? Faith gives some observers certain answers, but natural reason counsels doubt. Regardless, firings and cancellations and self-protective censorship will not make the conflict any less painful in the end. There is no way forward save through controversy. Postpone the inquisitions; schedule arguments instead.